Is No Garage A Deal Breaker? Most modern home buyers demand parking, but do they need a covered attached or detached garage? In many cases, yes, but specialists say the answer depends on a number of factors including the neighborhood, value and size of the home, and the area’s climate. Homebuyers would likely pass up on a home without a garage in a neighborhood where most homes do have a garage. Additionally, homes in colder climates or in areas with frequent rain and snow may be tough to sell without a garage. Inexpensive homes may sell without a garage, especially because a new buyer can add a garage inexpensively, but most middle of the road to high end homes are expected to have at least a two car garage. 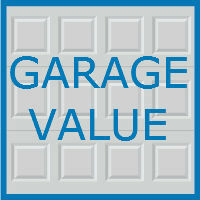 Will Adding A Garage Increase My Property Value? In most cases, building an attached or detached garage on a property without an existing garage is a smart move. Some realtors say that homeowners investing in a garage could see a two to two and a half time return on investment. Others point out that a two-car garage, attached or detached, can add $30,000 to the value of a home, and a smaller, one car garage could add $15,000 or more in value. The size of a garage can also impact selling price, as shown by a recent survey. The study, which compared single-family homes, shows that the as the number of parking spaces within a garage increases, so does the value of a home. For example, a home with a single car garage may go for $250,000, but a similar home with a three car garage could sell for nearly $300,000. Homeowners are encouraged to research their market or consult a real estate professional before deciding to build a garage on their property for resale purposes, but in most cases, specialists say the choice will increase value. When building, realtors say there a number of factors to keep in mind. First, homebuyers tend to favor homes where the garage is tucked to the side of a house, as homes with garages facing the street tend to be less visually attractive. An electric door opener is also beneficial to install. Homeowners are also encouraged to build their garage with a little extra space for storage, as many potential buyers require storage space within the garage. Also, the exterior of the garage is important, and should match the existing exterior design of the home. What Can Be Done to Improve My Existing Garage? If your home already has a garage, there are a few steps you can take to ensure the space helps boost your property value. First, the garage should be cleaned and well organized. Four out of five realtors say that a unorganized, messy garage can have a negative impact on potential homebuyers. If the exterior needs work, consider new siding or a fresh paint job. Be sure that your garage matches the style of the rest of your home. Also, many realtors report that successful homeowners demonstrate to potential buyers how their garage is used for storing more than just vehicles. In fact, over 75 percent of realtors say the garage should be just as clean and organized as every other room in the home to increase value and likelihood of selling. 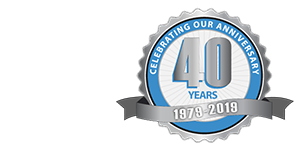 Whether you are looking to build a new garage or remodel, the experts at Blue Sky Builders are here to help. Visit Blue Sky Builders online to see samples of our work, and call 630-852-8485 to schedule a consultation with us to review your upcoming project. Let Blue Sky Builders help you get the garage of your dreams.